Image: Bigstockphoto. For illustration only. 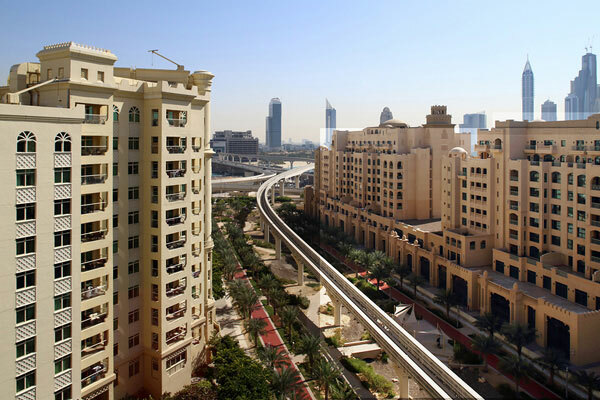 Dubai witnessed quarterly declines of 1.1 per cent in sales prices for villas/townhouses and apartments during the second quarter (Q2) of the year, while rental declines averaged 2.5 per cent over the same period, a report said. Rent declines were more pronounced in International City (Clusters), The Greens in Emirates Living, Discovery Gardens and Al Furjan averaging 12-month changes of more than six per cent, added the Q2 2018 Dubai Market Report released by Cavendish Maxwell, a leading property consultant. The report provides a summary of the residential market activity and highlighting price and rent movement and upcoming supply of residential properties. The data is provided by Property Monitor, a real estate intelligence platform powered by RICS accredited property professionals. The report also includes a sector focus on hospitality. According to Property Monitor’s database of rental contracts, the majority of the rental agreements for residential properties in Q2 2018 were in one cheque (38 per cent of total), however it reduced by 12 per cent compared to last quarter. Rental payments made in four cheques increased by six per cent over the quarter. This is among the incentives that landlords have been offering to keep units occupied. Off-plan sales accounted for 58 per cent of the total sales inQ2 2018.Mohammed Bin Rashid City, Business Bay and Jumeirah Village Circle dominated the off-plan sales during the second quarter of the year. On the other hand, Dubai Marina and International City led the secondary market apartment sales, along with Dubai Sports City, which accounted for 33 per cent of the total apartment secondary sales during Q2 2018. Secondary market sales among villas/townhouses surpassed the off-plan sales in Q2 2018, led by Emirates Living and International City, which together accounted for 23 per cent of the total secondary market sales registered during the second quarter. For the remainder of the year, the majority of the upcoming supply is concentrated in Business Bay, Jumeirah Village Circle and Downtown Burj Khalifa. Approximately 52 per cent of the upcoming supply expected to be handed over duringQ3.Increasing handovers will continue to impact rents in most locations across Dubai as tenants have more choice. This will also impact occupancies in existing stock and should be factored into net yield estimations for the forthcoming period.